And this paragraph sounds a touch self-serving, to say nothing of shoving propaganda on the readers. For realists, it can be quite an eyebrow-raiser, making one wonder what they’re really trying to sell. You know, I have to wonder, if she read any of the material with Carol Danvers (and it’s not like there’s enough up to the turn of the century), or just what came after, if at all? Like, how Carol was characterized during Civil War, taking the really bad side involving Tony Stark and demanding superpowered folk register with the government. Speaking of which, I may not want to see Captain America taking such a stance, but then, neither do I want Shell-Head in that position either. That’s what’s really irritating about the 2006 crossover in hindsight; the way it was set up served more as a way for the press to water it all down to a question of whom readers side with, rather than the story merit of the finished product. I don’t think Danvers as a fictional character needs to apologize for something that’s the fault of the writers who foisted it on her, but I do know they haven’t apologized for such blatant misuse. First, Danvers may have debuted in 1968, but didn’t become Ms. Marvel until nearly a decade later in 1977, so that’s a pretty confused statement there. Second, it sounds like Wacker was trying to borrow the arguments from Comicsgate supporters as to how Danvers should be marketed. Regardless, doesn’t this kind of risk elevating Carol to an absurd deity status – minus significant flaws? Even Thor, as a deity with formidable physical strength, has some. The Avengers may be taglined as Earth’s Mightiest Heroes, but individually or together, they’re not invulnerable or flawless. This is another example of the risk of making the star sound…too powerful. 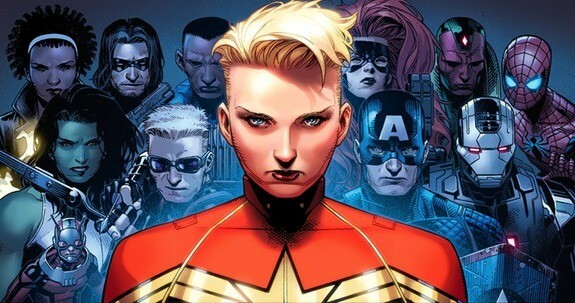 As the editor of the Captain Marvel comic, I witnessed firsthand how the audience transformed around Danvers’s re-imagining. A contingency of superfans coined the “Carol Corps” celebrated the change as a sign that comics were becoming more welcoming to female audiences. Two years later it was announced that Captain Marvel would be a stand-alone film. For fans and those of us working there, it was an emotional and historic moment. For Larson, it was a role she had unknowingly waited for her whole life. Yep, as if they never were welcoming to female audiences. Does that mean there never were any female fans of Wonder Woman, whose iconic outfit was kept intact in Gal Gadot’s adaptation, and worn by young cosplayers too? 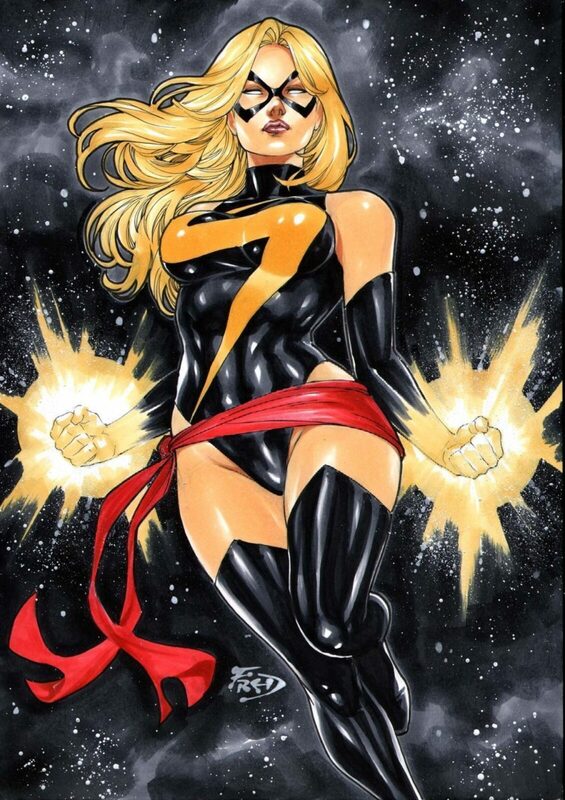 Let’s also note that in nearly a decade of Carol Danvers’ transformation from Ms. Marvel to Captain Marvel, there were 6 different volumes that got cancelled a short time after one another (Ms. Marvel volume 2, and Captain Marvel volumes 2-6), and each sold so dully, it’s hard to believe there’s enough of a fanbase out there. And the transformation to “Carl Manvers“, making her look more masculine, was so insulting, is it any wonder the fandom may have worn off? I’d noticed some of the press sources talking about the movie shied away from using illustrations from post 2012, because the image of Carol looking masculine was so horrific and honestly insulting to women everywhere, it’s no wonder the sales weren’t doing well. So, it’s never happened naturally? Well I figure that’s because most leftists never wanted it to. Or, why has it become such a big deal these days to remake famous old TV shows with stars of different racial background, recalling I just discovered Magnum PI was remade with a guy of Mexican background, and the Higgins character was changed to a woman? And here when I thought earlier the producers were planning to make it a sequel to the original 1980-88 series with Tom Selleck, starring his now grown-up daughter of Vietnamese descent, according to earlier reports I’d read. Wouldn’t it have been better to just make a separate TV show unrelated, with a lead of different background? Point: all this remake-mania’s gotten way out of hand, as has identity politics like what Brie Larson’s absurdly become an activist for. Diversity in casting and production is one thing, but if it lacks merit of talent, that’s another. And this Captain Marvel movie continues to sound so much more like political activism, it only enforces the perception it’s not done for serious entertainment. 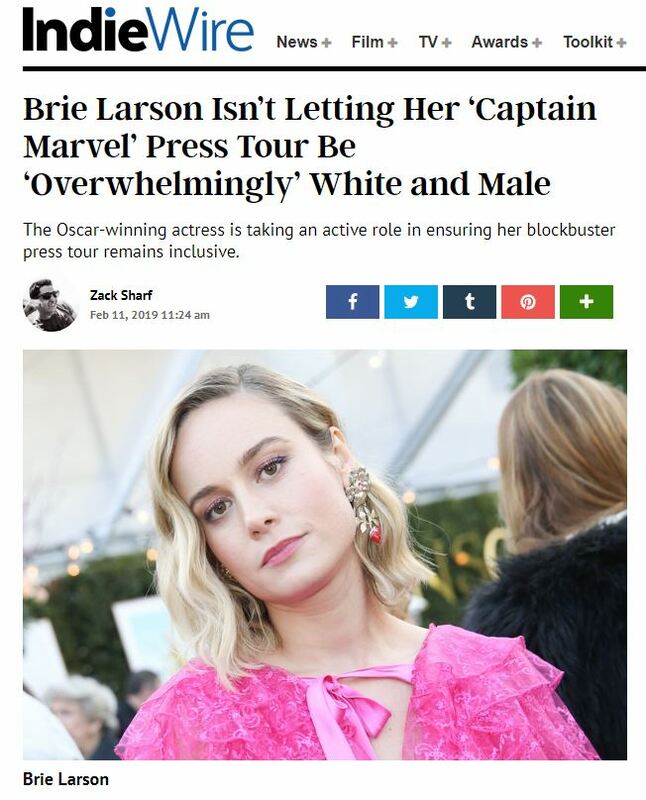 With all this “wokeness”, will anyone on the press tour ask Brie Larson why she took the role that belonged to a woman of color? 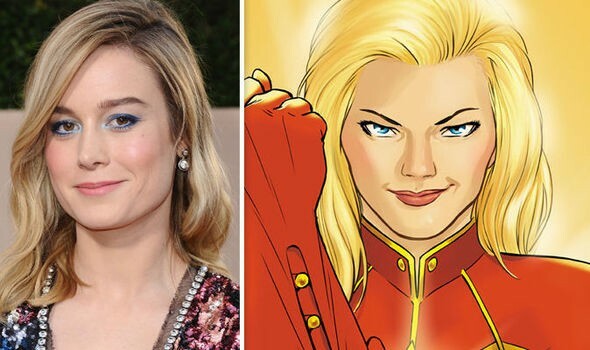 Captain Marvel will hit theaters March 8, 2019 in the U.S. and is directed by Anna Boden and Ryan Fleck. The film has a production budget of $152 million. The character was originally created by Roy Thomas and Gene Colan.